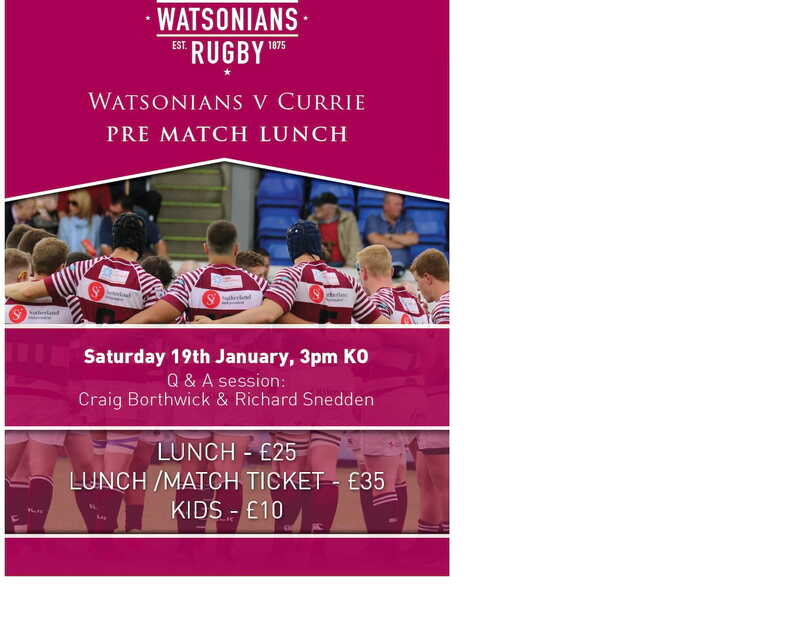 We have our first pre-match lunch of 2019 this Saturday! Table sales are strong and we are on course for a sell-out crowd! We have current 1XV skipper Craig Borthwick and former Currie legend and now WFC 1XV Assistant Coach Richard Snedden on hand to do a Q&A session with our resident MC John McLellan.